Valentine’s Day has a long association with love. It’s the day when romantic partners shower each other with gifts like red roses, boxes of chocolate, and heart-covered greeting cards filled with sweet sentiments. It’s a very difficult day to book a reservation at a restaurant. While this holiday has often been blamed for making single people feel pretty bad about their unattached status, it can also be extremely stressful for couples, especially if there are high expectations for demonstrations of love. Perhaps this is one of the reasons why this holiday seems to prompt a significant spike in inquiries related to divorce. 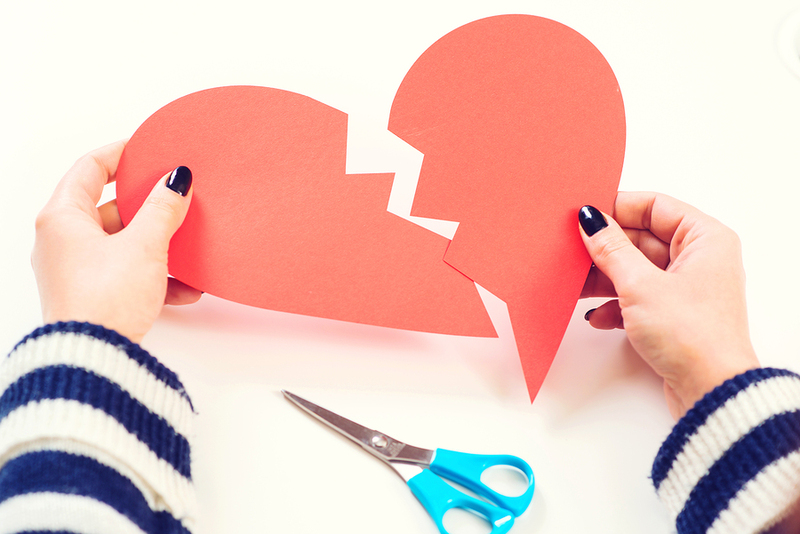 According to Avvo, an online legal services marketplace, the website experiences a 30% increase in searches related to divorce (average over a five-year period) between the winter holidays and Valentine’s Day. Why is this? Why would the day devoted to love make people in committed relationships want to run for the hills? America is a country founded on the belief that anyone can succeed if they work hard enough, but we also tend to suffer from a “keeping up with the Joneses” mentality. It’s not enough to work hard and earn a decent wage, you also have to make sure everyone can see how well you’re doing (even if you’re not). Unfortunately, this is a pretty widespread problem, especially around the holidays, and financial problems are among the most common reasons for conflict in a marriage, and often a cause for divorce. January is a slow spending month because people tend to overspend on Christmas or other winter holidays and put themselves into debt. Then, hot on the heels of this holiday spending, Valentine’s Day comes along and people get bombarded with advertising for heart-shaped jewelry they can hardly afford. For many couples, there’s an expectation of dinner at a fancy restaurant, a dozen long-stemmed roses, and gourmet chocolate, at the very least. Perhaps it’s all just too much for some cash-strapped couples that aren’t doing a very good job of living within their means. After the stress of shopping and celebrating the winter holidays, adults can breathe a sigh of relief, but it’s not long-lived, with Valentine’s Day a few short weeks away. This can be a stressful time for couples where one or both people expect the perfect gift to represent the scope of love in the relationship. If the bar is set pretty high, one or both parties could become overwhelmed by the stress of trying to live up to unrealistic expectations. If nothing else, celebrating Valentine’s Day provides the perfect opportunity to reassess just how you feel about the person you’re married to, as well as compare yourself to other happy couples. If you find your relationship lacking in some way, you may begin to rethink whether you really want to be involved with your partner anymore. This may prompt some people to consider throwing in the towel and looking for love elsewhere. If you and your spouse have irreconcilable differences and you need legal advice and/or representation, contact the experts at The Gucciardo Law Firm today at 248-723-5190 to learn more and discuss your options.